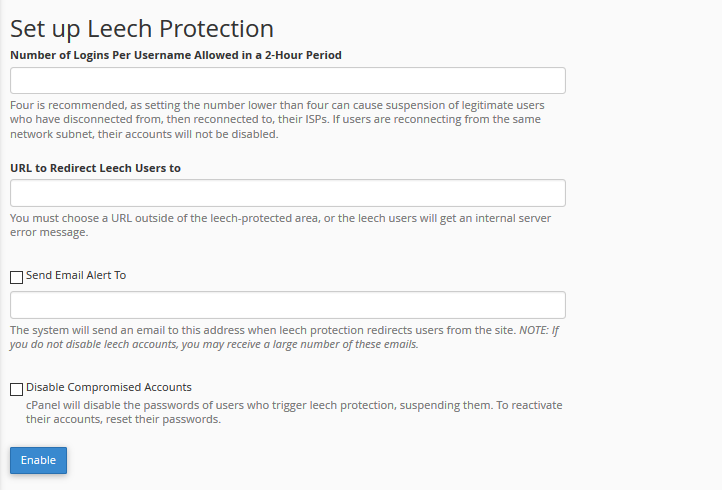 3. or go to Security section and Click on leech protection. Type a URL to redirect users to another web page when their account is compromised. To receive an e-mail alert when an account is compromised, select the Send Email Alert to check box, and then type an e-mail address. To disable accounts that are compromised, select the Disable Compromised Accounts check box. You’ve successfully configure Leech protection in cPanel. Contact waxspace support if you need any support for configuring Leech protection.